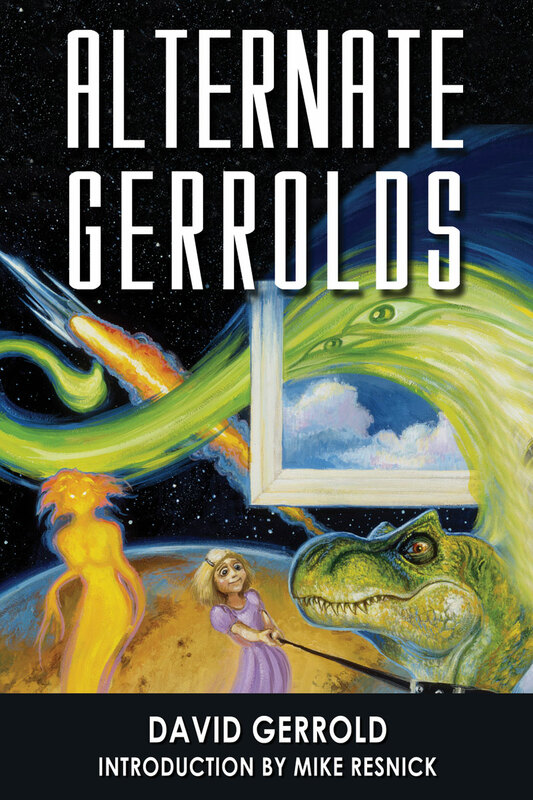 David Gerrold takes you on a tour of alternate universes … universes where Santa Claus isn’t nice and the best man is actually elected president; where Ronald Reagan and Gregory Peck command the plane carrying the first atomic bomb and John F. Kennedy stars in the hit show “Star Track,” where Franz Kafka doesn’t write fiction and the Devil holds educational seminars. Introduction by Mike Resnick. David Gerrold is the author of numerous television episodes including the legendary “Trouble With Tribbles” episode of “Star Trek.” He has also written for “Land of the Lost,” “Babylon 5,” “Twilight Zone,” “Sliders” and other series. He has published 45 books, including two on television production. He taught screenwriting at Pepperdine University for two decades. He has won the Hugo, the Nebula and the Locus award. A movie based on his autobiographical novel, The Martian Child, is now in production.